An expression that can mean anything means nothing; when you want to please everybody, you please nobody. 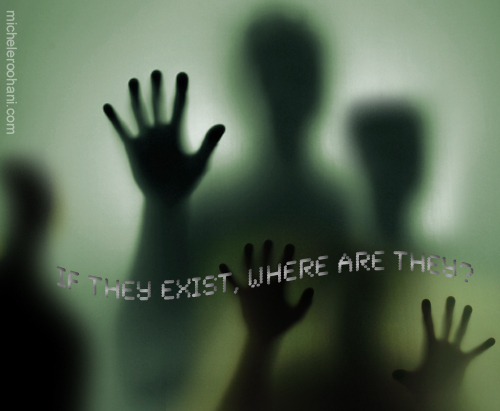 Enrico Fermi, the great Italian physicist, killed all the aliens in 1950 by asking this simple/innocent question: “if extra-terrestrials exist, where are they?” This question has become the Fermi Paradox. a) the search for extraterrestrial intelligence (SETI) program to detect radio transmissions from other civilizations has been a failure. b) the question of the Great Silence remains unsolved; if life is common, why don’t we detect their radio transmissions? 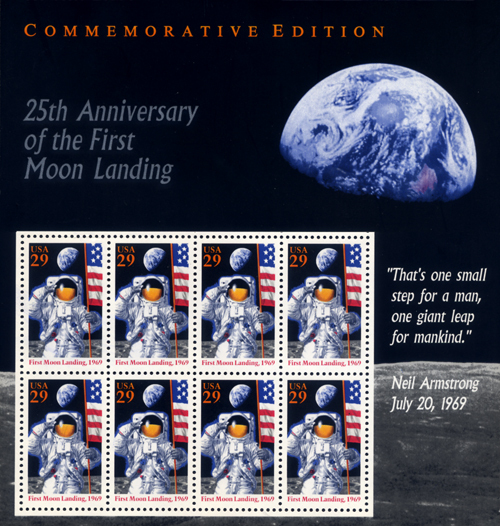 Today is the 40th anniversary of the first moon landing (July 20, 1969). I remember the thrill of hearing about it on a hot summer day in Iran; the moon has not looked the same since! 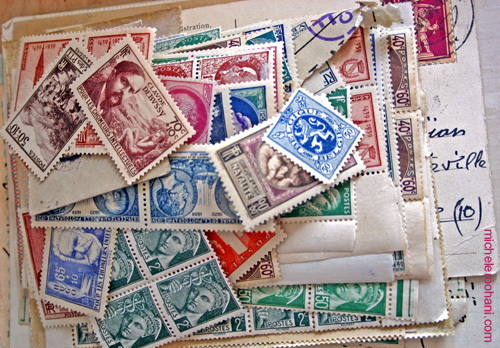 Unlike my father, I am a lousy philatelist (postage stamp collector) but I was able to find the above page I bought in 1994—on the 25th anniversary of “the big step”—among my loose leaves. To commemorate the 40th anniversary of Neil Armstrong’s historic walk on the moon, Google is offering Internet users a virtual trip to the moon. Carl Sagan explaining the Drake Equation. Google earth lands on the moon. Other Life not likely to be intelligent. 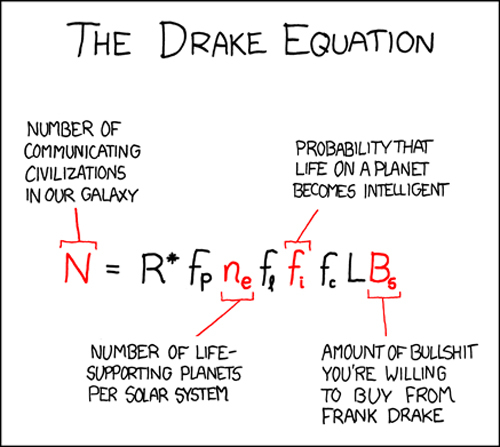 The new Drake Equation by Susan Blackmore.